Have you ever seen the red rice-paper lanterns with these characters on them? (Or if you are a little bit taller than the average, have you ever dodged this type of lanterns?) Ever wondered what lurks inside? Or you might actually already visited an Izakaya, perhaps more than once? Either way Izakaya, or Japanese “pubs”, are a very big part of the modern Japanese culture. They com in all shapes and sizes, from small local establishments, to large chains that you can find all over Japan. No matter what type you go to, you will always find a cosy and welcoming atmosphere. 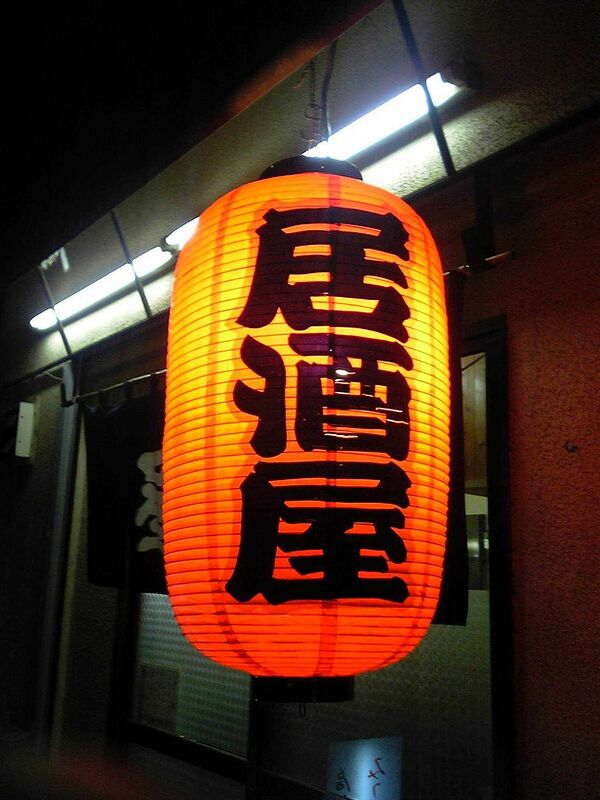 Izakaya is a compound word consisting of “i” (to stay, 居) and “sakaya” (sake shop, 酒屋), indicating that Izakaya originated from sake shops that allowed customers to sit on the premises to drink. Once inside, depending on the place you are either seated on tatami mats next to low tables, or on chairs with a normal table. You are then often given a wet towel, called “oshibori” (お絞り), and then you are given a light snack that is included in the final bill. You then order drinks and food during your stay as desired. When it comes to drinks, you can usually find beer, chûhai, cocktails and whiskey. In the foods department, you can find everything from yakitori and sashimi (raw sliced fish) to grilled meat and vegetables. Izakaya also come in different varieties, with big chains, cosplay places, yakitori-ya, and akachôchin (“red lantern”) referring to smaller places that doesn’t belong to a chain. Next time you are out for a stroll, or heading out with friends, why not try out a local Izakaya, and get that Japanese feeling going?